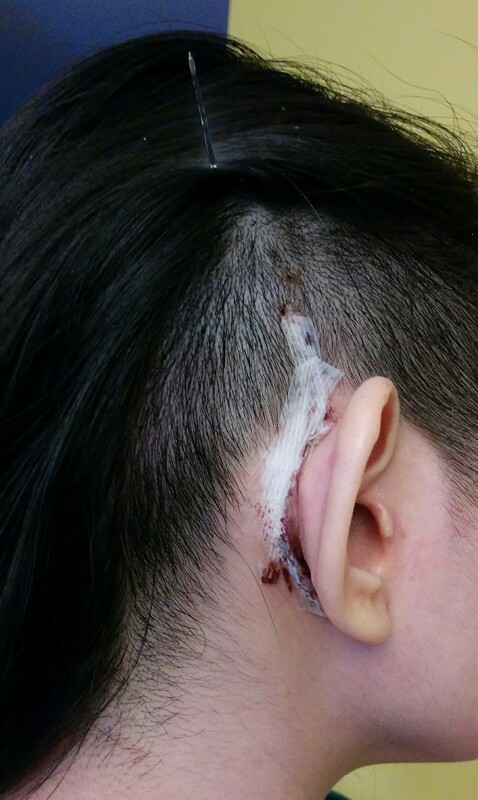 Just a little update about myself – A week after the surgery, I went to a local clinic and have them remove the bandage, as well as check up on the scar. It is still taped but it’s healing well. The scar is not so bad. It was a relief to get the bandage off as it was really not comfortable. A tip for ladies who will do this surgery: Do not French braid your hair. Because a bandage over a French braid hurts. It’s also not comfortable to lie flat on. Just tie it back. Luckily, the day after the surgery, I was able to undo the braid when they changed the bloody bandage for a clean one. I was also so excited to wash my hair! 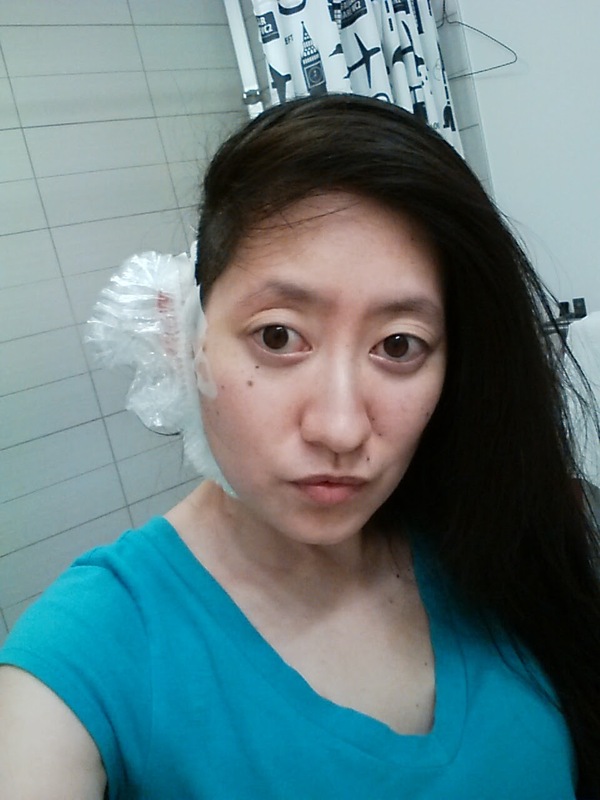 But here’s the annoying thing: For the next two months, I cannot let water get into my ear. So now, I’m doing the same torturous thing I did this summer after having an ear surgery this summer. I need to carefully block and tape my ear and if possible, get someone to help me wash my hair as it’s really hard not to get the area wet. I tape a shower cap around my ear and hold a towel over it while washing it over the sink or bathtub. I’ve been resting since and I’m looking forward to activation, also known as turn on day. Who doesn’t like the sound of getting turned on? So on Tuesday, I’ll get to wear the external processor for the first time, and hope that not everything will sound like Darth Vader as the people have told me my previous post. It will take two weeks to activate the implant. 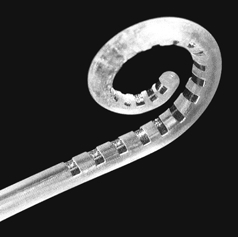 The electrode array that they inserted into my cochlea has 22 electrodes. They are the little metallic points along the fibre. The electrodes are turned on bit-by-bit to to allow the device the capture different ranges of sound. 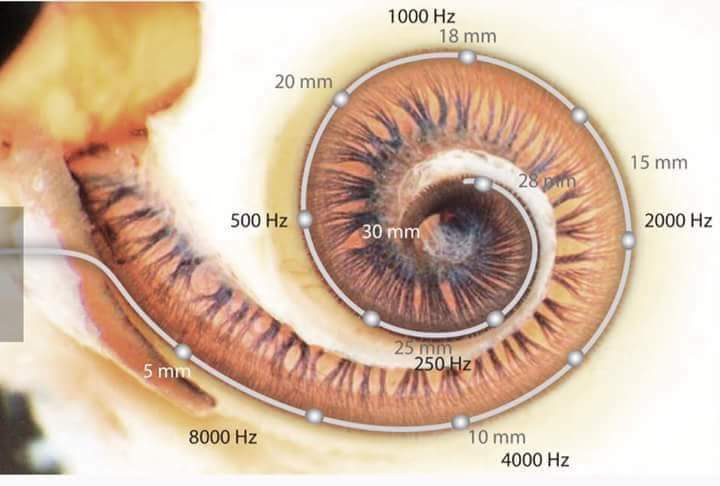 The cochlea is filled with hair cells. 35 000 of them. Each hair cell is responsible for processing a different type of sound. Many compare them to piano keys. As sound enters the ear, the hair cells react and move, sending the sound to the brain via the auditory nerve. 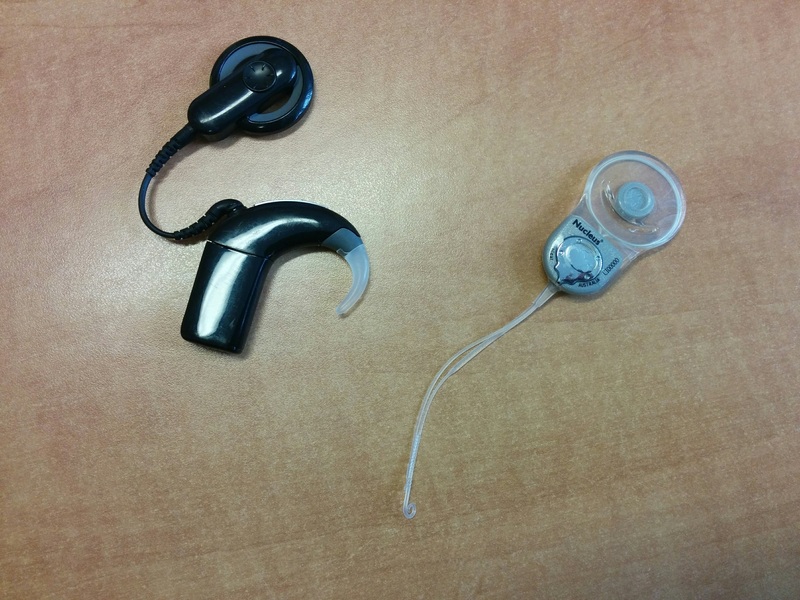 If you are a cochlear implant candidate, it means that some or all of these hair cells are damaged. Therefore, when sound comes into the ear, they get distorted because hair cells are not doing the job properly. Some or most sounds don’t even make it to the auditory nerve. Electrode arrays are there to replace the dead hair cells that make you hear. They start by activating the inner electrodes – the parts that process low sounds and work up to the outer ones that are responsible for picking up high pitched tones. Then once the whole things is activated, the brain has to understand what the new sounds are and how to interpret them. Hence, I will be doing two months of auditory rehabilitation. During these two months, I’ll work with an audiologist to train my brain to recognize as much sound as possible. The CI will then need to keep being adjusted every once in awhile until I am comfortable with the sound levels. These mapping sessions will aim to make the sounds sound more or less normal to me.